Last spring during my visit to Milford, NE, the birthplace of Harry Culver, I was drawn to a brick and stone building that used to be a hospital. Upon further investigation, I learned it was part of a larger campus of buildings that housed and supported unwed mothers at the latter part of the 19th century, and lo! 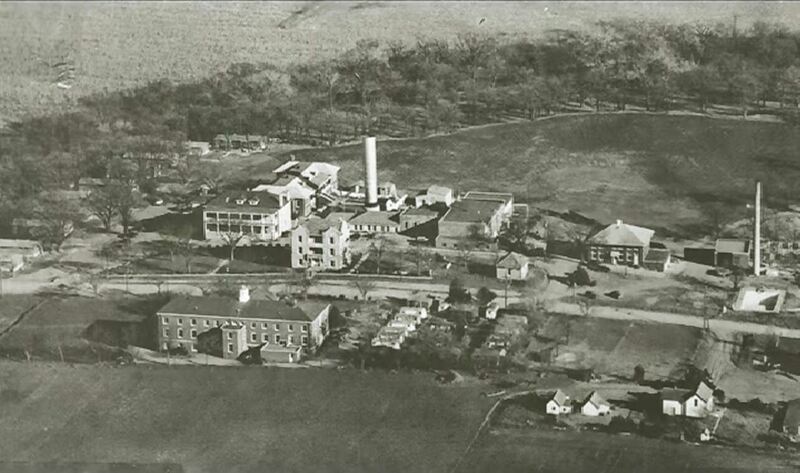 Harry’s father, Jacob Culver, was the home’s early proponent! 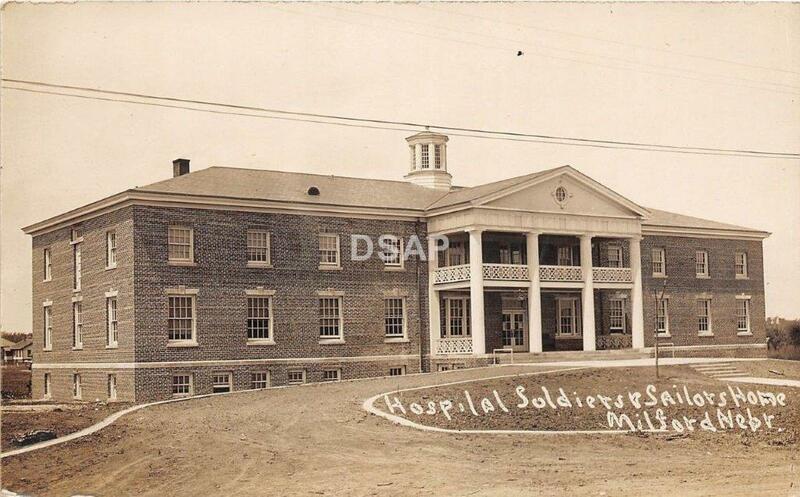 The unwed mothers’ housing proposal gained momentum when Jacob Culver, Adjutant General of the Nebraska National Guard, entered the conversation and convinced the city of Milford to donate 40 acres of land a mile east of the city, just south of the railroad. In 1887, $15,000.00 was approved by the State Legislature to establish an institution for 50 “penitent girls who have no specific disease… who have met with misfortune… and thus prevent crime.” Two three-story, 25-room dormitories were built to house the mothers, and included steam baths and a library, along with a powerhouse, cattle barn, and laundry. Doors opened May 1, 1889. 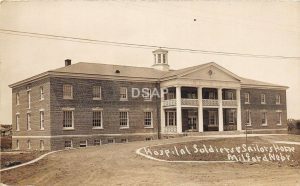 Newspapers noted that it was “the only state-supported maternity home in the nation. 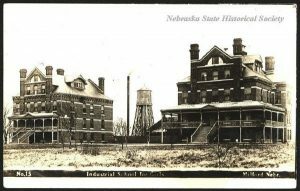 ”The Industrial Home lasted a little over 50 years when, in 1943, Governor Dwight P. Griswold suggested that the Industrial Home be abolished, and services transferred to the University Hospital in Omaha, leaving the buildings and land for public use. Stayed tuned to the finale in our winter newsletter! Each year, Fiesta La Ballona reminds me of memories that spelled “fun.” I remember how hard our mother worked to outfit my brother, cousin, and me as “Early Settlers.” I liked the “señorita”dresses and learning about my ancestors, except one year when I had to wear a mustache (itchy! ), and pull my little brother and cousin in a wagon-based “float”! Little did I know that learning our history then was setting the stage to teach it forward. 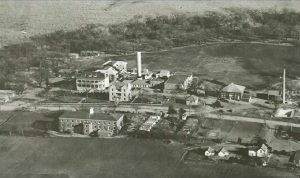 In 2017, our society helped to bring historic sites and people to the forefront for Culver City’s Centennial Celebration. 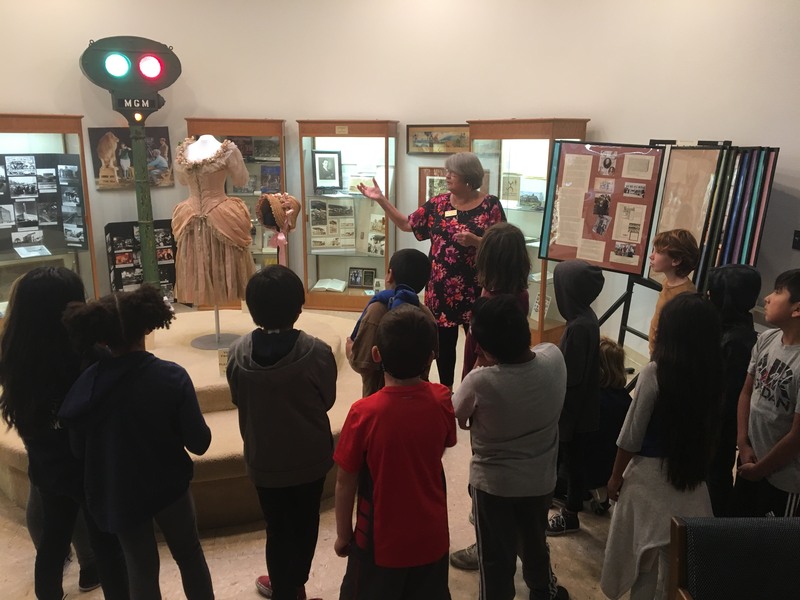 Walking tours, bus tours, and classroom visits for Career Days broadened the story of our city for locals, especially children. Michelle Bernardin and Denice Renteria designed coloring sheets for the students, who learn about local history in third grade. As Culver City students have just begun the new school year, we look forward to increasing our participation in the area of youth education. 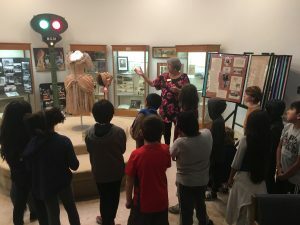 Before summer break, our volunteer docents (Fred Alexander, Michael Laase, Michele Lachoff, Denice, and myself) led La Ballona third-graders past many historic sites like Tellefson Park, (former Rollerdrome), on land that was known as Rancho La Ballona. Many were impressed when they learned that our city founder, Harry H. Culver, flew his plane out of the Culver City Airport! 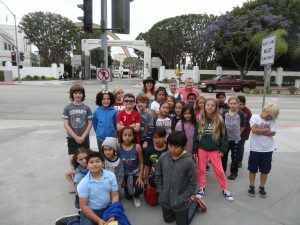 El Marino School also participated in their annual bus visit to City Hall and scavenger walk. Working with our schools is not new. Over the years we have enjoyed taking “Living History”skits into third grade classes, in partnership with AVPA high school students. Watching the high school students take the parts of Machado family members claiming rights to land on “horseback” certainly held their attention! Other skits helped the students learn about Harry Culver, his plans, and his family. Last year, we renewed our docent-led bus tours. In one day, 200 riders took our tour on the Centennial Culver CityBus. Their “tour” continued after they disembarked and made their way to the ARC for a special visit, which took them past a wonderful piece of public art, Filmstrip USA by Natalie Kroll, in front of the Veterans Memorial Building. 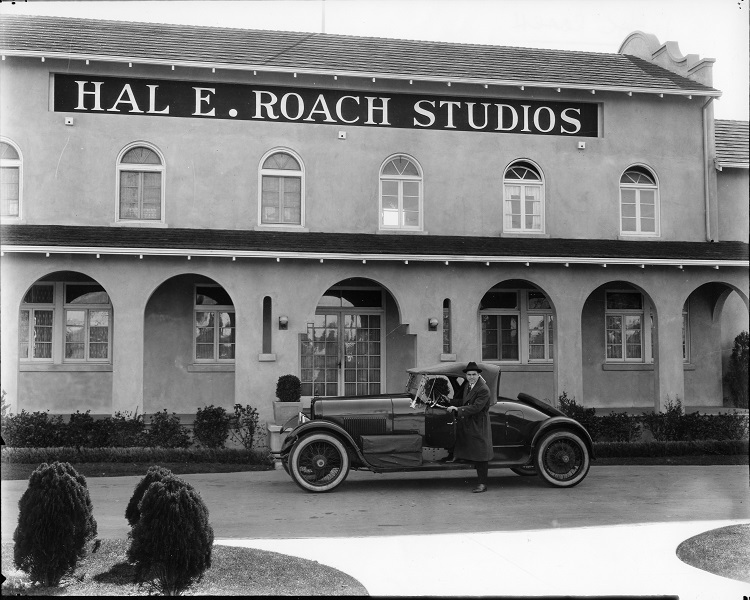 They also walked through the building to see some historic movie photos rescued by our society. 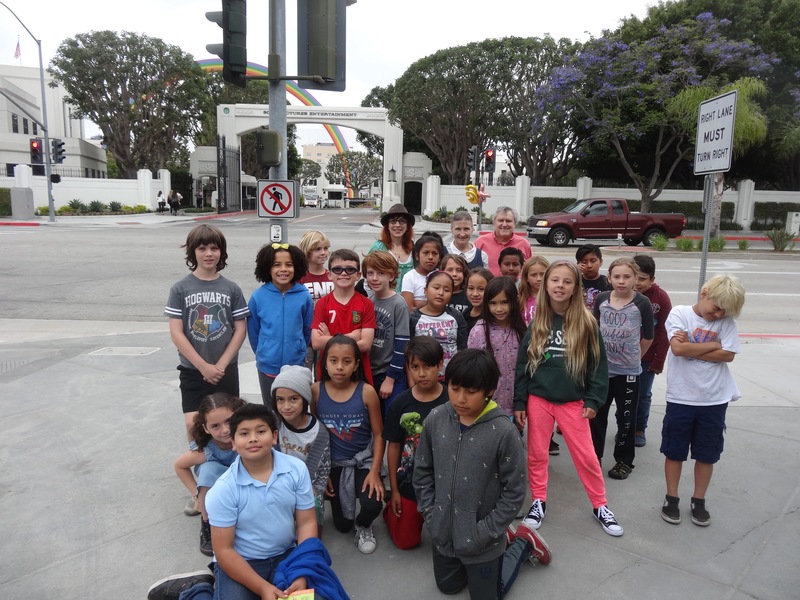 Their last stop was our Culver City Historical Society Archives and Resource Center, where they were intrigued by Culver Family items and much more! Many were surprised when we pointed out the nearby Mayme Clayton Library and Wende Museum, also located in the Cultural Corridor in our city. From youngsters to adults, history can be painless education! Here comes fall, and I am glad it is finally cooling off! We spent June cleaning up around the ARC–(re)organizing storage sections of the collection, recording objects into the database, and installing new exhibits for you to enjoy. Check out some of the photos! You, our Historical Society members, know that our museum is a special place. What you may not know is there are two other museums that are just as special in walking distance from the ARC. 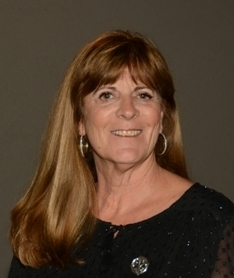 Thanks to help from the Culver City Cultural Affairs Foundation, the Mayme A. Clayton Library & Museum, the Wende Museum and the Culver City Historical Society Archives & Resource Center (ARC) will form the first ever Culver City Cultural Corridor! On Friday, November 9, all three museums will be open to the public for an exciting day. See the enclosed flyer for more information, and join us as we walk the Cultural Corridor together for the first time. We have a new addition to our volunteers: David Voncannon is our new video editor! With his help and keen skills, we are quickly adding more videos of our recent programs to our YouTube channel. There are also ways for YOU to get involved! We are looking for a new Government Affairs Liaison, Vice President of the Museum and Archives, and Communications Chair. 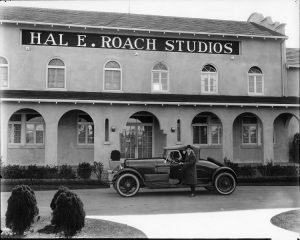 Every week we receive questions about Culver City history, which are always fun to research and answer. We need more researchers to help answer the influx. We need docents and volunteers for our open hours and tours that come through the Archives. We will train you! These are enriching opportunities to work with your Society and help us continue to grow. I am happy to talk to you about any of these positions. Please email me at hope@culvercityhistoricalsociety.org. Lastly, if you buy from Amazon or Ralph’s, visit the front page of our website and we explain how to link a percentage of your total purchases to support the Society. At no additional cost to you, these are easy ways that go to support our work. Where: Veterans Memorial Park, 4117 Overland Ave. 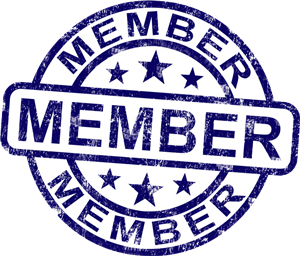 Cost: $25/person Society Members; $30/person non-members; $10/kid (4-10 y.o. ); 3 y.o. and under are free. Online ticket purchases are no longer available. A select number of tickets will be available onsite. Questions? 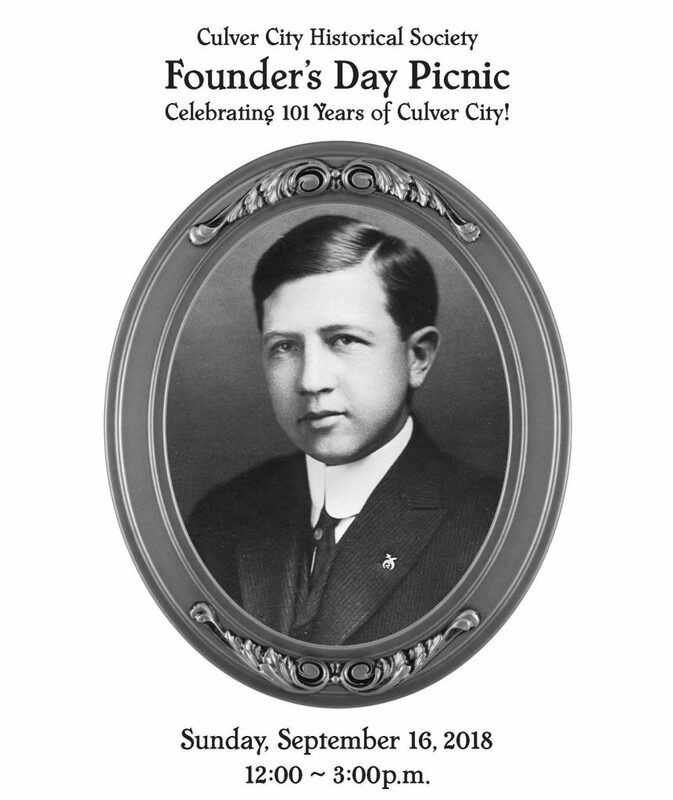 Email info@CulverCityHistoricalSociety.org or call (310) 253-6941.